Wouldn’t it be fantastic to not have to worry about eyebrow pencils, wands and brushes anymore? It can be such a faff to get your eyebrows looking the same shape and colour and it’s the same rigmarole day after day. One trip to the gym for a work-out or swim and it’s back to the mirror to go through it all again! 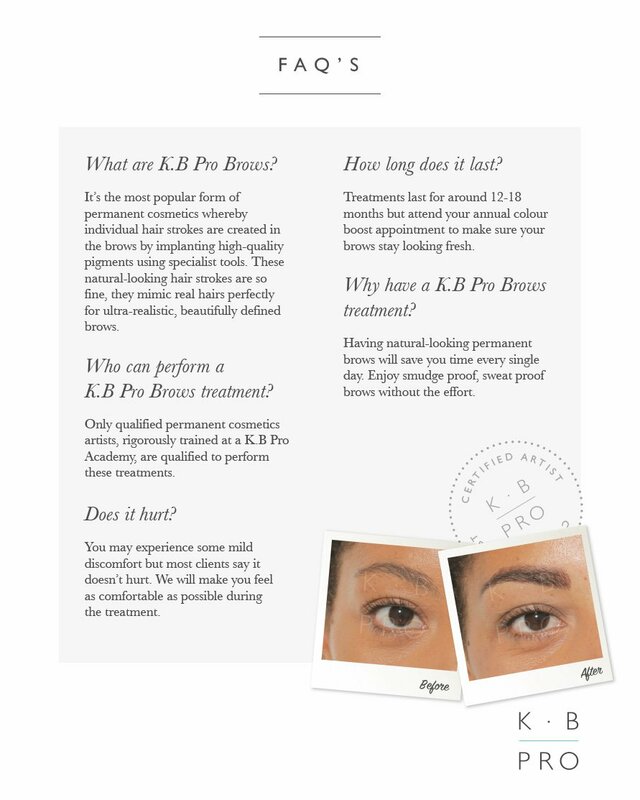 Well, now there’s a better way thanks to K.B.PRO MICROBLADING. This is normally done as part of your initial treatment, but can be done separately if you prefer. Deciding on a shape, style and pigment colour. This is discussed in great detail because it’s vital that you feel completely happy about the look you want to achieve. Once Natalie knows what you have in mind she will draw the shape with an eyebrow pencil. Natalie will repeat this part of the consultation until you’re completely satisfied. She will give you her professional advice and show you examples. You will also need a skin patch test at least 48 hours before the treatment to make sure there are no adverse reactions to the pigments. Using a hand held microblading tool, tiny precision hair strokes are created by hand, mimicking the natural direction and lengths of your brows. There should be very little sensation but Natalie will be advised by you and take breaks from the treatment if you wish. As the pigment is new to your skin, the eyebrows will look approximately 50% darker than the colour you selected at the consultation. This is perfectly normal and the colour will start to fade in 3-4 days. Natalie will book you in again usually around 4-6 weeks after the initial treatment for your colour top-up where she will retouch any areas that are unevenly faded. A full microblading treatment is normally £345. Please contact Natalie at the Forresters Abingdon Beauty Salon. Telephone 01235 536 100. Book now for a FREE 15 minute consultation and get all your questions answered. Natalie will also perform a skin test to ensure there will be no adverse reactions to any products used during the treatment. 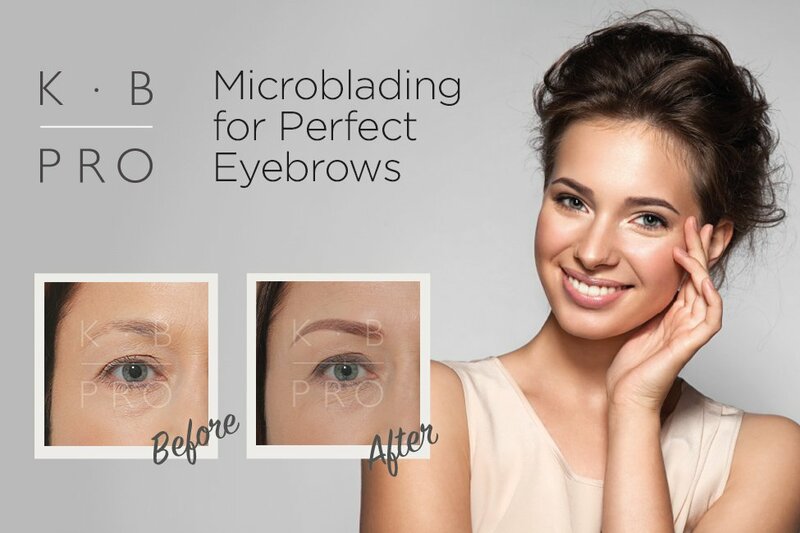 For further information about microblading or to book your consultation please contact Natalie at the Forresters Abingdon Beauty Salon today. Telephone 01235 536 100. Find out more about Natalie on her web page.